By Abigail Wheetley. Apr 25, 2016. 9:00 AM. Writing poetry and writing for children have something very important in common: both endeavors are much more difficult than they look. The brief form, the broad appeal, and the creation of language that is as pleasing to the ear of a child as it is to the ear of a publisher: these are the challenges of the poet who writes for the young and the young at heart. This is a list of those who have made the effort and come forth triumphant and, perhaps, who also inspired future poets and writers. 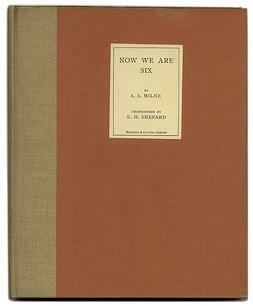 A statistics clerk for the Anglo-American Standard Oil Company seems an odd occupation for a man who would go on to write delightful poetry for young children, but that is precisely what Walter de la Mare did, and thanks to his government pension, he was able to write full time after his work was done. Naturally, he was not only a poet for children; he also wrote disturbing horror stories such as "Seaton's Aunt" and "Out of the Deep". He was the first to create a collection of stories that won the annual Carnegie Medal from the Library Association, which is reserved for English writers who produce children’s books. One of the many pitfalls prospective children’s authors have is that they think that their work needs to be simpler or less complex than the work for adults. As de la Mare described, nothing could be further from the truth, and the child’s mind is startlingly complex and vivid. He described two “types” of imagination, the “childlike” and the “boylike”, believing that true literary geniuses lay at the border between the two. He saw children as the true visionaries, unhindered by the context of adulthood. Once the “real world” is introduced to the childlike mind, he becomes that of a boy and sees the world still with that imaginative lens, but with the ability of analysis and the advantage of education. It is the true visionaries, de la Mare declared, that were able to allow their imaginations to survive the brutal transition into adulthood. With this imagination in tact, and his full awareness of the needs and abilities of the minds of children, Walter de la Mare wrote to them and for them with great success. Best known for his depiction of his son’s playthings, and therefore the co-creator of Winnie-the-Pooh and his friends in the Hundred Acre Wood, Milne also wrote two books of poetry for children: Now We Are Six and When We Were Very Young. In both collections, Pooh and Christopher Robin make appearances, but the poems themselves represent and mirror the true experience of childhood. His given name was Alan Alexander Milne, and he was born in London, England and studied mathematics before discovering his true ability and passion for writing. Much of his initial work was funny, satirical, and, during his military service, theatrical. In the 1920s, he continued writing plays, many that were original and well received, as well as an adaption of The Wind in the Willows. Fatherhood provided him with an exciting new muse. For and about his son Christopher, Milne wrote his two collections of poems, describing the world as he believed his son saw it. It was these collections, written at about the same time as Winnie-the-Pooh and The House at Pooh Corner, that made him and his characters part of the cultural narrative. He continued writing long after they were published, mainly books for adults, including a book entitled Peace with Honour, which spoke about his adamant passivism, and an autobiography titled It’s Too Late Now. Though she may not be a family name, Valerie Bloom is an accomplished poet for children based in the United Kingdom. She moved there from Jamaica when she was 23. Her specialty is Jamaican patois, which she both writes in and performs for audiences. She also provides them a “crash course” in the dialect so they can participate in and understand her work. Though widely published with material for an adult audience, her children’s poems are what has made her a name in the literary world. Her first book, Duppy Jamboree, was published by the Cambridge University Press in 1992, and she’s been publishing children’s books ever since. Her most recent children's publication was Jaws and Claws and Things With Wings which Harper Collins published in 2013. Her work for children doesn’t shy away from heavier themes like feeling alienated in a new culture or growing up too fast. Like so many prolific writers for children, she talks to them, not down to them, and she has great success in that reader-poet relationship. She speaks so lightly about her process, it almost sounds like she’s quoting Dr. Seuss, “I can write a poem in the bath, I can write a poem on the train, I can write a poem in my hotel room, so I can have a book finished in a relatively short time.” But her work remains complex, heavy, and still delicious to the ears of children. He could have been a lighthouse engineer, like the other men in his family for generations, but lucky for us and countless children, Robert Louis Stevenson chose to put pen to paper instead. Known for darker stories such as Treasure Island, Kidnapped, and Strange Case of Dr Jekyll and Mr Hyde, Stevenson also wrote for the lighter among us, children, when he wrote A Child’s Garden of Verses. His own childhood was not pleasant as a result of nearly constant sickness and fever. His nurse, Alison Cunningham, was both a tireless caretaker (earning a dedication in his volume of children’s poems) and a frightening religious fundamentalist. Her stories of hell and heaven may have shaped some of his nightmares and resulted in a truly split view of the world as seen in his writings. He spent his youth investigating and pursuing various ambitions, including law and the theater, but after spending time in France among other artists he declared himself a writer and dedicated his life to the use of language and the telling of stories. A Child’s Garden of Verses was published in 1885, sandwiched between Treasure Island, published the year before, and Strange Case of Dr. Jekyll and Mr. Hyde, published the year after. 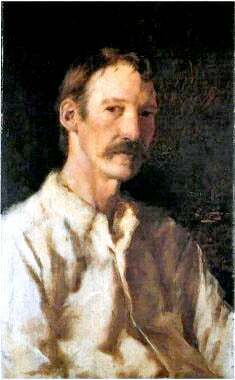 Fated to be known as a children’s author, Stevenson wrote many things for many audiences including poems, essays, and plays. It is through his Garden of Verses, however, that he was able to hold the wonder of childhood and the frustration and fear of the day-to-day life from that point of view with such a delicate ear and vision. To be known as a writer for children, there are far worse fates than this. Known for being eclectic, dramatic, silly, but with an ever-present dark edge, Roald Dahl suffered great loss and upheaval at the beginning of his life. Born in Wales to Norwegian parents, Dahl grew up speaking Norwegian. He lost his sister to appendicitis at three, and weeks later his father to pneumonia. His mother stayed in Wales, raising her remaining three children where she thought they’d have the best life. Roald attended various boarding schools and found both camaraderie, fun, and deep fear of authority in his experiences. These sensations would echo through his books and poems for children, where he would emulate childhood frustrations and real-life tragedy with humor, truth, and vivid detail. Like many great writers, Dahl lived an interesting life full of mishap and adventure, all of which influenced his art. He lived in various corners of the world as a petroleum worker for Shell Oil and joined the Air Force, fighting for the British in World War II. He crashed in the desert and barely survived—an ordeal he eventually wrote about for the Saturday Evening Post after moving to America and becoming an instructor and officer. After the war, he married actress Patricia Neal and worked to develop a valve to treat hydrocephalus, which his son suffered from. His life continued to present light and dark, and as he became successful and built a life with Patricia Neal, their daughter Olivia died suddenly and tragically, and his wife had a stroke and nearly died during her pregnancy with their daughter Lucy. Dahl lost faith in religion, but found a sense of spirituality in the world as his wife recovered. He went forward and poured his grief into his work and kept himself in mind of the possibility of another day. 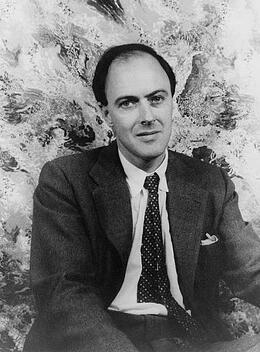 Known for classics such as James and the Giant Peach and Charlie and the Chocolate Factory, Dahl also wrote poems for children, all geared towards the delight that children feel when adults are being a little bit naughty. Revolting Rhymes is such a collection, full of silly and off-beat versions of traditional fairy tales. Considered one of the great writers for children, Dahl was on the list of the 50 greatest British writers since 1945 by The Times and his books have sold over 200 million copies. It is this desire for a voice full of whimsy, darkness, fun, and tragedy that keeps children and adults listening for the next line and the next. -Walter de La Mare. (n.d.). Retrieved March 31, 2016, here. -A.A. Milne Biography. (n.d.). Retrieved March 31, 2016, here. -Valerie Bloom. (n.d.). Retrieved March 31, 2016, here. -Milne, A. A.. (2015). In The Columbia Encyclopedia. New York, NY: Columbia University Press. -Robert Louis Stevenson. (n.d.). Retrieved March 31, 2016, here. -Roald Dahl. (2016, March 22). Retrieved March 31, 2016, here.